There is a lot of hype and misinformation around the topic ” how make money online today” , obviously the first thing you need is something to sell, more on that later. Today we are gong to look at how to sell online to make money. There is not one simple answer to this as there are many ways to get your product in front of people to make money . PPC or Pay Per click Marketing is one solution, this can be costly if your target the wrong keywords wasting your total ad send with no results or Sales . Solo Ads, this method is basically buying ads from an online vendor who promotes your product or service to their email list. This also can be costly as you are hoping to have the person click on your offer and follow through on a purchase. Ad buys, whether it’s Facebook, Social shout outs, banner ads or what ever method you choose, it is really just like casting a lure into an ocean of people hoping someone will click your link and end up converting into a sale and hopefully remaining loyal to you so you can ad them to your email list and promote to them again. Email advertising, this method can work good if you have built your own email list and have built a relationship with them by providing quality information. Buying bulk emails or email lists is virtually a waste of time and may be considered spamming people. Build your own website and actually provide people with relevant information for a problem they are trying to solve. Whether it is “how to polish my shoes” or “how to bathe my cat without getting scratched” provide good quality information that these people actually need and will use and eventually they trust you . Building a website can be a scary thought for many but it is the foundation for your success online. By doing so you have a direct pipeline to the people you want to target, profiting by providing exactly what they need. No more endlessly spamming folks and hoping for results . How can you profit …easy !! Find and sell Affiliate offers, no inventory required just direct people towards the product. Sell Amazon products, sign up for a seller’s account and ear commissions, its no secret Amazon is a trusted partner. Google ad-sense , google needs a place to put relevant ads on quality websites. You get paid when people click on them . Google search “Affiliate programs” for what ever it is you want to Sell. There are plenty of opportunities in just about any niche from Hardwood flooring to Baby monitors. I know, I have walked that path alone and emptied my wallet more than once !! 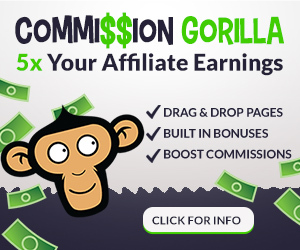 You can do this for free at Wealthy Affiliate.com, in fact you can also build a free website with hosting and do profitable Keyword research all included absolutely Free in same place . Yes this is the space online where I hang out with a community of like-minded people who share their ideas. You will absolutely find training and help here for free. No BS, No Credit Card, No Upsells, No Scams, No online Gurus to take your hard-earned Money … Just honest help. You can see my overview of the Wealthy Affiliate program here or ====> Get Started Now ! I like it when people post articles about making money via affiliate marketing or selling affiliate offers. But the big issue is finding whom to sell to, and enticing them to buy. Do you have a working strategy that can help out?